Bose, which is well-known for its quality (and pricey) audio equipment, went an interesting route with its latest piece of hardware. Two years ago, the company took to Indiegogo to gauge interest in a pair of noise-masking sleep earbuds. Essentially, customers paid to be part of the beta test and received hardware at up to a $100 discount. At the end of the campaign, the company had raised $450,320 — more than 900 percent of its $50,000 goal — so clearly there’s a market for these. 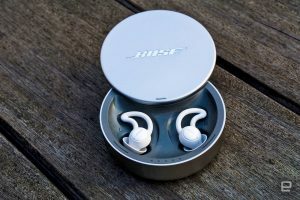 The Sleepbuds went on sale for $249.95 in June, and I was pretty much first in line to buy a pair at my local Bose store.